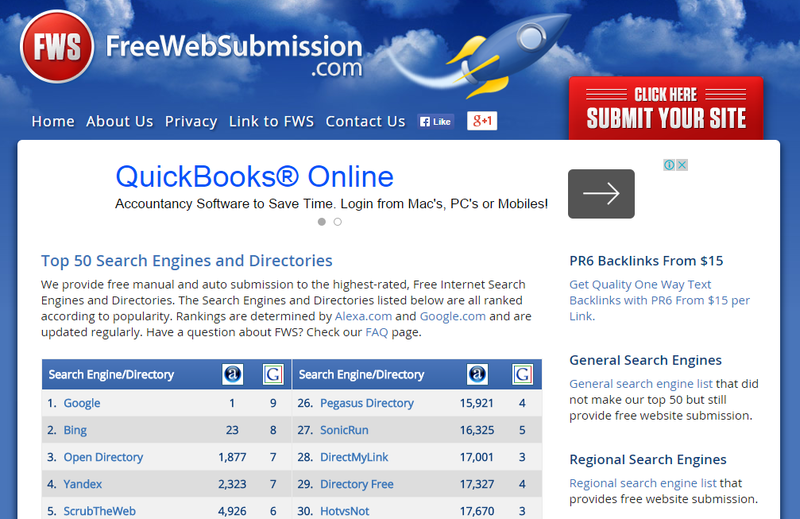 How Fast Submit Blog to 20 Search Engines. How to send your blog to twenty search engine? These services are very important to simplify all the search engines recognize your blog. 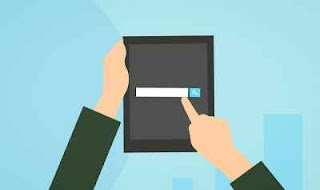 Would you services such as Bing, Yahoo and Google to list your blog to their search engine? 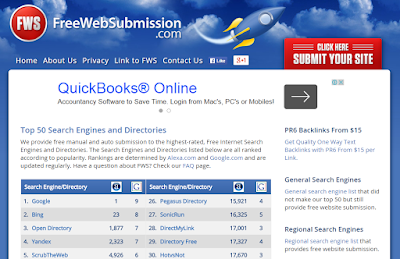 How very easy, just register your blog in freewebsubmission. This method has been used by thousands of bloggers around the world and they obtain satisfactory results. Whether the advantages to register your blog on this website? The answer is simple, you'll be reflected when bugs in all 20 search engines in quick time. At first I did not know this, but a best friend, had advised me to submit my blog on this website and I think my blog has started to enroll in all the search engines as most visitors to my blog from around the world and most of the visitors are from the united states. My blog is still new and I'm still learning about the world of blogs. I want to share all the new bloggers around the world about these tips and I hope, if you read this paper, submit your blog shortly on this website. It does not impose any cost and this service is free of charge. I almost forgot to remind you, if you have submitted your blog on this website, make sure you check your email for the confirmation required by the search engines involved. You simply input your blog url address and your email and press the button 'submit your site' 'it has been completed. Let me finish on this partnership, I hope these tips help and benefit you. If you have a friend, blogger, recently delivered these tips to them as well. I am happy to share something useful to you and if you have any questions, please leave your comment in the comments below. See you again in the next entry.